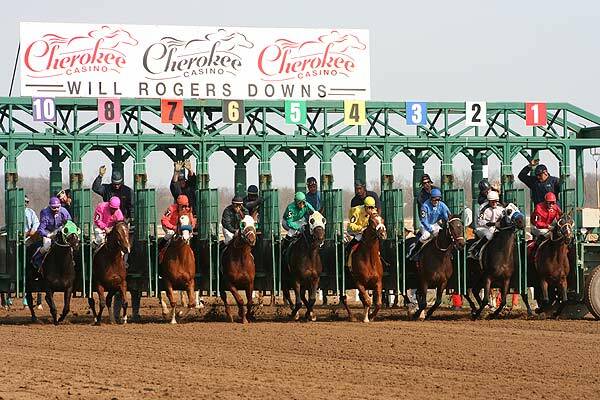 A worker at Will Rogers Downs died earlier this week after being kicked by a horse, according to USA Today. Jennifer Peterson of Beggs, Okla. was loading a horse in a trailer when she was kicked in the chest. Peterson was taken to a nearby hospital, where she later died. Police in the area did not immediately return requests from the Associated Press for comment. This entry was posted in The Biz and tagged backstretch injuries, Oklahoma horse racing, will rogers downs by Paulick Report Staff. Bookmark the permalink.